(SEMASA) #MULTIFLEXFRIDAY – JOIN THE PARTY ON THE TRAIN! Kuala Lumpur, 26 September, 2018: Car sharing startup SOCAR and Prasarana Malaysia Berhad (Prasarana), operator of urban rail and bus services in Greater Klang Valley under the service brand of Rapid KL, have announced a unique partnership to add surprising and fun elements to public transport. The #MultiflexFriday campaign that aims to bring a party to your everyday commute kickstarted today at Kelana Jaya LRT station. 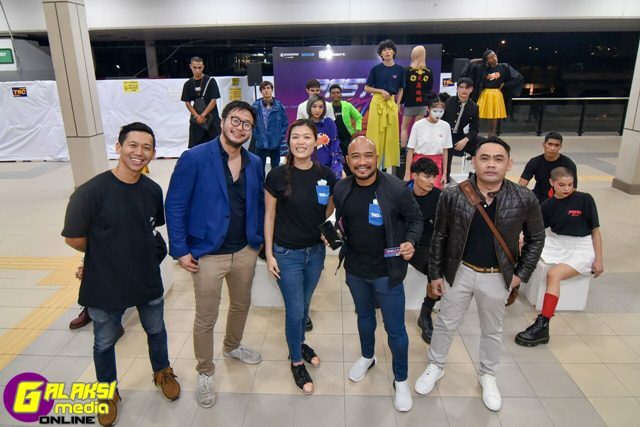 The event agenda involved a one-of-kind fashion experience on the train as campaign partner Pestle and Mortar Clothing revealed their latest Fall/Winter 2018 Collection with a post event showcase at Lot10, Bukit Bintang in collaboration with Touch n’ Go Digital (TNGD). Tags: #MULTIFLEXFRIDAY - JOIN THE PARTY ON THE TRAIN!